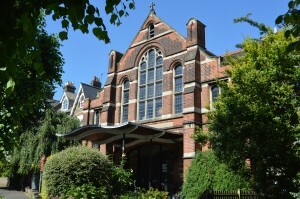 Holy Trinity is the Church of England Parish Church for Stroud Green. We are a church in the modern catholic tradition of Anglicanism, and are a parish in the Diocese of London under the episcopal oversight of the Bishop of Fulham. 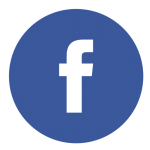 This site will give you an insight into our church life and diverse congregation, and keep you up to date with the latest news. If you are new to the area and looking for a place to worship, do browse the site to get a feel for the parish and visit us on a Sunday at 11.30am. Scroll to the bottom of the page and look in Newsletter Downloads for the most recent weekly newsletter for more details of our services and other activities and events. The usual pattern of services is a Sunday Sung Mass with children activities at 11.30 am, and a said Mass on Tuesdays at 7.30 pm. Additionally Morning Prayer is said publicly in church on Mondays Wednesdays and Fridays at 7.30 am. Lent began on Ash Wednesday 6th March and you can find full details of our Lent programme here. 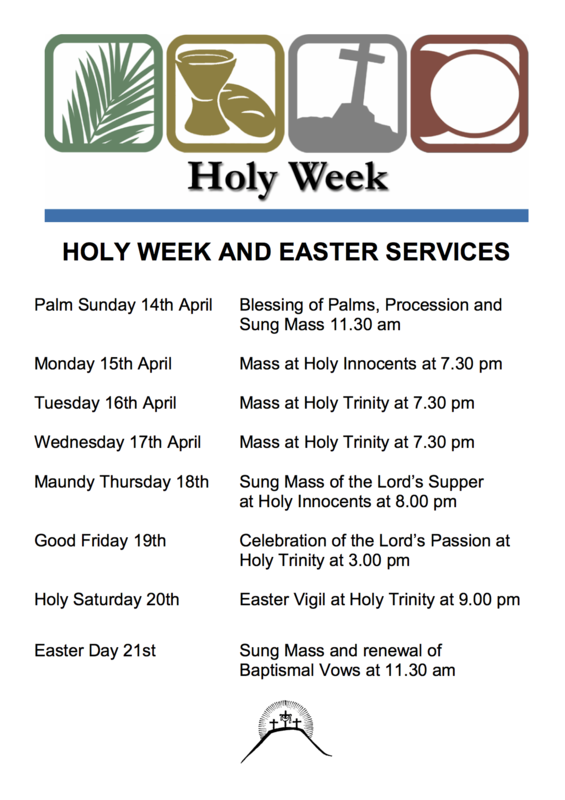 For HOLY WEEK AND EASTER SERVICES CLICK HERE. If you aren’t able to find what you’re looking for, please don’t hesitate to contact us directly by phone or e-mail.